SCI-Shipping Corporation of India Ltd Recruitment 2017-2018 Application Form, 50 Trainee Electrical Officers/Electrical Officers Posts. Download Application through Official website www.shipindia.com. Candidates will have to before Walk in Interview (21-12-2017) SCI Recruitment 2018 50 Electrical Engineer Trainee Officers Posts. SCI pattern of examination, SCI Syllabus, SCI Question Paper, SCI Walk in Date, SCI Result Date etc. 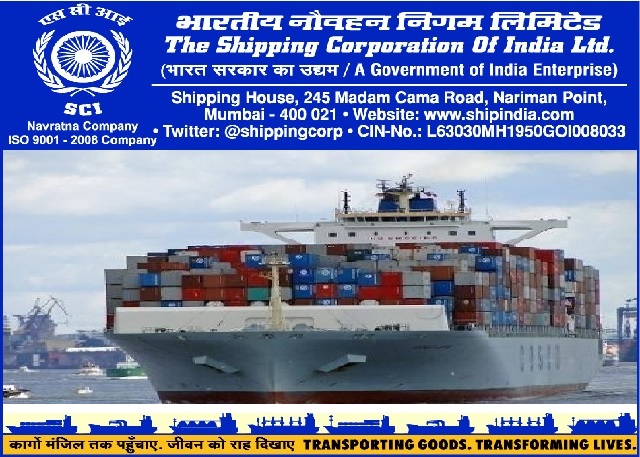 The Shipping Corporation of India Ltd. Shipping House, 17th Floor, Cafeteria, 245 Madame Cama Road,Nariman Point, Mumbai – 400021.